I love receiving feedback from customers, even more so when it’s a handwritten letter. Our bean customers seem to be among the best at taking the time to send us feedback. 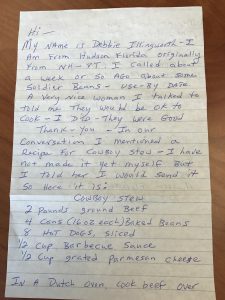 Whether it’s a letter to let us know how one of our employees helped them, or a letter to share a favorite recipe I appreciate all comments! Please keep them coming! Recently I received this letter from a loyal bean customer. 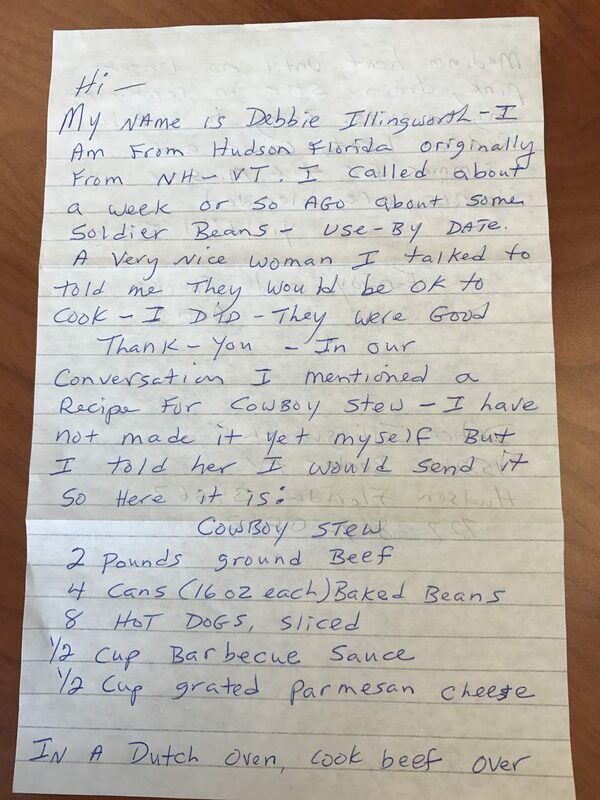 She had called to order beans, and during the process mentioned her favorite recipe to one of our employees. A few days later this was on my desk. With the cool weather coming this recipe would be a perfect addition to your menu, I hope you enjoy!! 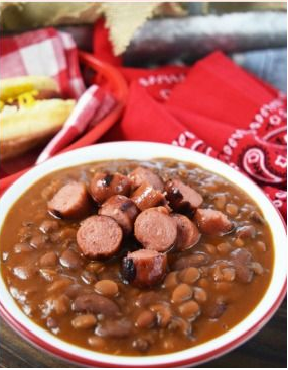 Pick over the beans and soak them overnight in cold water. In the morning, drain & rinse, then parboil the beans until slightly tender. In bottom of Dutch oven, add diced onion & beans. Cut ½” into salt pork rind and place on top of beans. In a separate bowl, mix sugar, molasses, mustard, salt & pepper with 2 cups of boiling water. Pour over beans & pork. Cook beef over medium heat until no longer pink, then drain and add to beans. Stir in remaining ingredients and bring to a boil adding additional water as needed. Reduce heat, cover and simmer for 4 – 6 minutes or until flavors are well blended. Serve with steamed brown bread or hot Johnny cake.